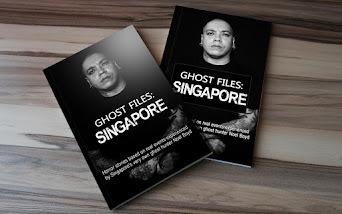 This photograph of a Singapore Armed Forces (SAF) soldier has been making it's rounds in the past 24 hours. I think it's hilarious! 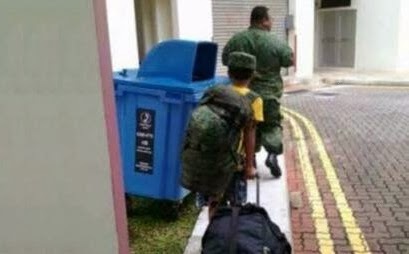 This poor little kid has to wear a cap which surprisingly fits, carry a field pack and drag along a duffel bag while that overweight soldier strolls along. Maybe that's the reason why he isn't losing any weight!!!! Whatever it is, I am sure his commanders would be able to identify him easily. How hard can it be right? There can't be that many HUGE soldiers in the army. Right? We can now conclude that you don't need a maid to carry your army gear. Children can do the job too! Hahahaha! Free child labour some more! !